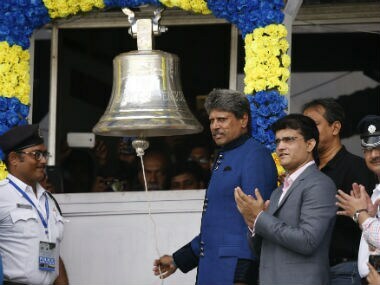 Kolkata: India's first World Cup winning captain Kapil Dev rung the bell just before the Indian and New Zealand teams walked out for the national anthem on the opening day of the second Test at the Eden Gardens at Kolkata on Friday. Accompanied by Cricket Association of Bengal (CAB) President and former India captain Sourav Ganguly, Dev completed the much sought-after ritual in front of a motley crowd. 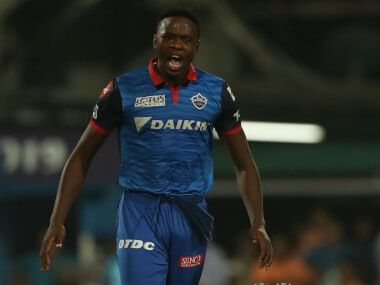 Looking dapper in a suit, the 1983 hero wore a wry smile on his face as all-rounder Ravindra Jadeja was seen witnessing the event keenly from the players' dressing room. The ringing of the five-minute bell, introduced at Lord's, is a ritual started in 2007. An international cricketer or administrator or a well-known enthusiast of the sport is tasked to perform the act. 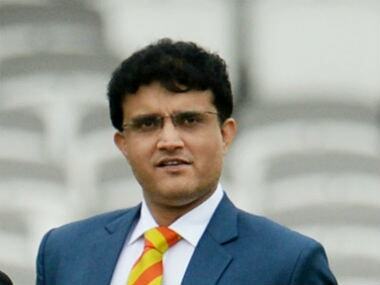 Ganguly had stated that every morning it will be rung by a cricketer from either side or ex-players. The one at Lord's is located outside the Bowlers' Bar of the pavilion and is rung to signify the imminent start of play. Ganguly in 2014, had the privilege of ringing the hallowed bell in 2014 on the fifth morning of the India-England Test at Lord's. India are leading the three match series 1-0 after they registered a 197 run win against New Zealand at Kanpur. If they win the Kolkata Test, they will regain the ICC Test Rankings' top spot.